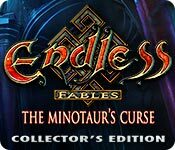 Endless Fables: The Minotaur's Curse Collector's Edition is rated 4.2 out of 5 by 33. Rated 5 out of 5 by upsysydaisy from Being a Minotaur Has No Perks!! Can you imagine living the anguished life of such a creature? Not good...but for us VERY good because it gave us this wonderful game. Visually it was just a feast for the eyes all the way to the end. The colors were amazing and added so much to the atmospheric feel of the tale. It was a good long adventure that contained lots of challenging (but do-able) games and HOPs. I am a big fan of stories with unusual creatures whether they are mean and nasty or sweet little things. But the minotaur has always been a villain and Hercules did battle with the angry beasts many times. This game has renewed my interest in Greek mythology and I wish there were more of them. I highly recommend! Rated 5 out of 5 by LadyHawkMT from Colorful and Interesting! So when I started this game I was thinking about Greek Mythology given the intro and it was about that but it also came to be about protecting people and bringing things back into balance between the so called Gods. The scenery was colorful and detailed, I loved that. The moving from scene to scene was easy and the map was a big help when sometimes trying to figure out where to go was too challenging especially if you have family distractions around you. (Humor, but true) The HOS's were reminiscent of other games I've played but in a very good way, loved them. The Mini games were a good variety of not so challenging to very challenging. I know this game came out a while back and I just took the time to play it, but it was worth the wait and if you get the chance, play this game. The scenery alone is well worth it. Rated 5 out of 5 by ktreece62 from Mythical Adventure This game was just pure enjoyment for me. I love the characters, (voice-overs were exceptional), the scenes and although far-fetched, the story line. This is a very well put together game with lots of extra things to find in each scene. The story line is a little far fetched, but you are so involved in what you are doing you almost gloss over the reality factor. The graphics are well done and colorful, the music is excellent and the collectible items are not always the easiest to find. I very much enjoyed this game and know in another year I will be opening it again for another round. Pure fun! Rated 5 out of 5 by radrocker from Love this game! Played this game at friends and had to get it myself. The graphics are great and I love the story setting. The story setting is cool and keeps it interesting. Good fun! 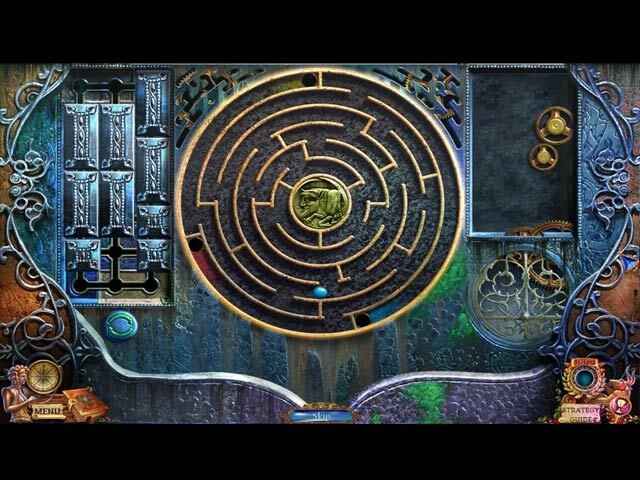 Rated 5 out of 5 by raniji11 from All-round fabulous game I have been playing big fish games for at least 10 years and this is the first time I'm posting a review because THIS game has been full of color, great mini-games, and hidden-object scenes. I loved every minute of it and recommend it more than highly. Have fun! (Wish I could play it again without knowing where it goes - that's how good it was). Rated 5 out of 5 by MsReddFox from I love this game! This is the type of HOG that I like best. I like everything about this game. The art work is awesome, you have four choices of difficulty play, the usual; plus custom. 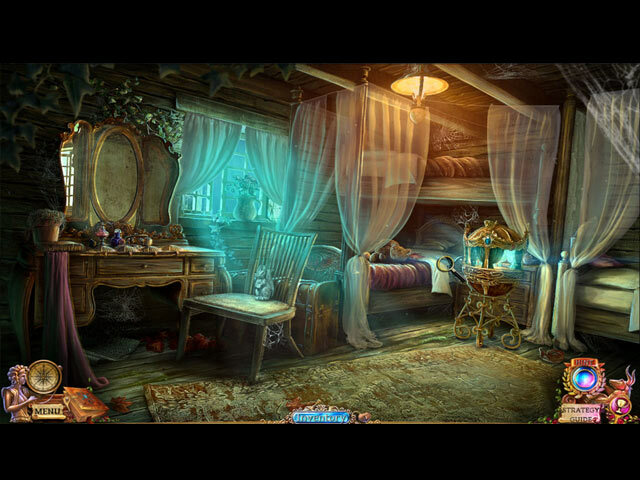 There are collectibles; butterflies, water lily, statues, and glowing flowers. I like all the audios and animations. The HOG scenes are not all the same, some are interactive, some are finding pieces to get the whole objects,and the mini games range from easy to difficult; some new ones and a few old ones. Some are story form, which I really enjoy doing. All in all this is a very enjoyable game, and I will play it more than once. Good game choice, BF! I hope to see other games of this genre. Rated 5 out of 5 by m48a2c from PURE FUN I bought this game after 20 minutes into the demo. when it was time for me to stop playing for the night I had a hard time stopping but it was nice to look foreward to continue playing the next day. sometimes I wish the games were a little longer. its a let down when the game is over unless there is a bonus chapter. you won't be sorry if you get this game. Rated 5 out of 5 by GogaO from Sunward Games Kudos to the developer for the great first game at BF I really enjoyed! Rated 5 out of 5 by zsofci from Beautiful game filled with summer memories I've been getting bored with many of the games released lately but this one really got me. I loved playing with this game and it reminds me of my vacation on the exotic island of Crete. The graphics lit up my eyes, the colors were bright and detailed. The locations have got this fairytale style. I also liked the story since I’m interested in Greek Mythology. 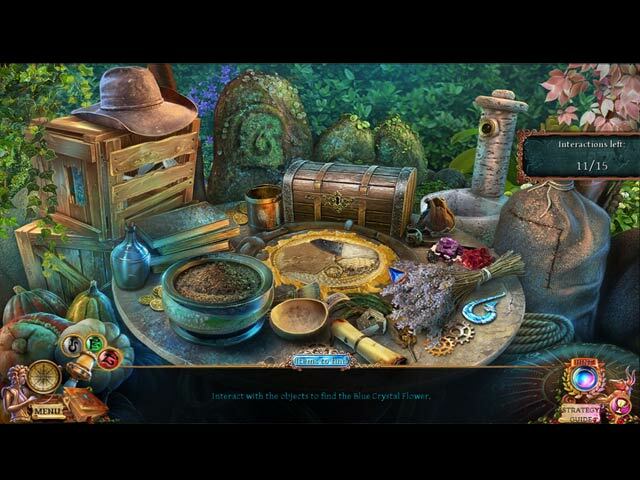 HO scenes and the puzzles are well drawn and entertaining to solve. The music and voice overs are excellent. All in all, a fantastic journey awaits, enjoy! The fabled Minotaur waits patiently in his labyrinth to be reborn. Only the descendent of Ariadne can stop him... which just happens to be you!